These turned out sooo perfect! Karoline mentioned to me she would love to have a snowy maternity session. So we waited and waited for snow and almost gave up because Ohio weather is so unpredictable! 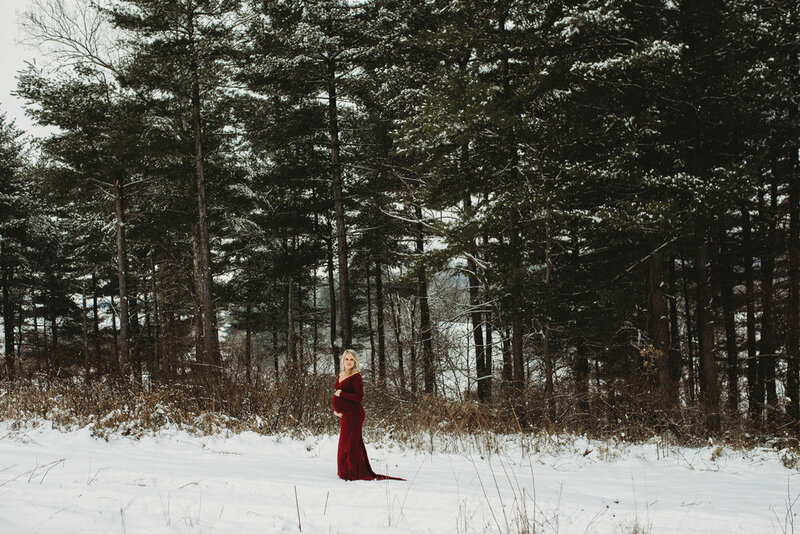 Finally Ohio gave us a gorgeous and perfect snow fall and we were able to capture all of these gorgeous images <3 Karoline was able to use one of our Maternity gowns from our client closest that we help provide if you book with us.